Since we’re in one of the hottest month of Summer here in Australia, I thought I’d do a sum up of some of the things I’ve been loving so far this Summer! So, those of you going through summer like I am can relate and those of you going through Winter at the moment can see what I’ve been loving. Winter essentials including turtle necks, sweaters, jeans and thick moisturisers are gone and in are sleeveless dresses, high necks, floral dresses and light moisturisers for the hot and humid weather. I’ve included Clothes, Beauty & Perfume favourites! The GIGI PAISLEY DRESS is super airy and comfortable to wear with a slits down the sleeves to keep you extra airy. The pattern is super gorgeous and it’s a great summery dress which won’t make you break a sweat! The APPLIED IMAGINATION PLAYSUIT is soooo pretty! I haven’t been able to get my hands on this one as it’s currently sold out but doesn’t it look summery and super casual?! I’ve been so into high neck this summer. In winter, not so much (missed op! ), but in summer, during the super hot and humid weather, I decided to go and buy lots of high neck clothes. Now, they’re great for the winter but for this summer weather, as much as I want to wear them, it just gets super hot and uncomfortable. Instead, this HIGH NECK JUMPSUIT is perfect for summer. It’s sleeveless so it doesn’t get hot and the material is super light. I’m a lighter shade nail polish colour girl throughout the year. Even in winter, I go for pastel shades, read HERE for my go to Winter nail polishes! Anyway, this gorgeous RIMMEL nail polish has been my favourite this summer. I love the pastel pink colour and it stays on for agesss without chipping! In summer, I need facial and body moisturisers which are light and absorbing and doesn’t leave you feeling sticky and gross. 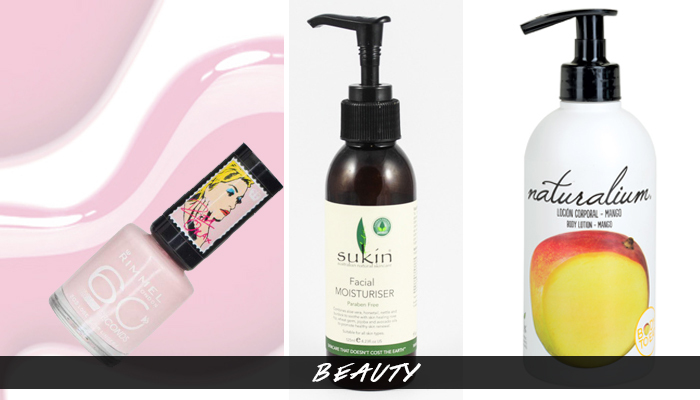 This SUKIN facial moisturiser and the NATURALIUM body lotion has been my favourites. They’re both super light and absorbs right into the skin without that sticky feeling. It also makes you feel super moisturised throughout the day and plus, the mango lotion smells literally like mangoes but it’s not sickly sweet! Perfect. I don’t usually change up perfumes depending on the season, but this summer I’ve been really into florally and elegant scents. 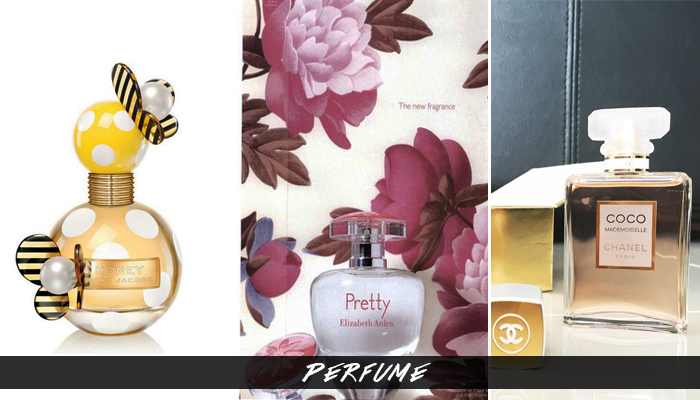 These three perfumes sum up my signature summer scent perfectly. The HONEY perfume is a delicious floral and summery blend with orange, honey & vanilla. PRETTY is a gorgeous floral scent with orange, jasmine, peonies and musky amber. This perfume is definitely a feminine one and it’s great value for money! COCO MADEMOISELLE has to be my favourite out of all of them. It contains oriental floral notes and it’s both feminine and fresh. Read my in depth review of this HERE!